The 2017 Galderma SKINPACT Award for Community Leadership in Dermatology (Community Vote) was given to the Philippine Leprosy Mission (PLM) for the project entitled “Partners in Leprosy Action (PILA): A community skin health strategy as a combined approach to detecting skin- related Neglected Tropical Diseases”. Among 105 entries from the Asia- Pacific region, this project proposal by Dr. Belen Dofitas garnered the most number of online votes from the international dermatology community from June to September 2017. Another project from the Philippines by Dr. Mirla Tan entitled “Schisto Dere Laksi: A Community wide education on the Schistosomal rash for early detection in an endemic Philippine province using film and comic book” was given the award for Excellence in Education. 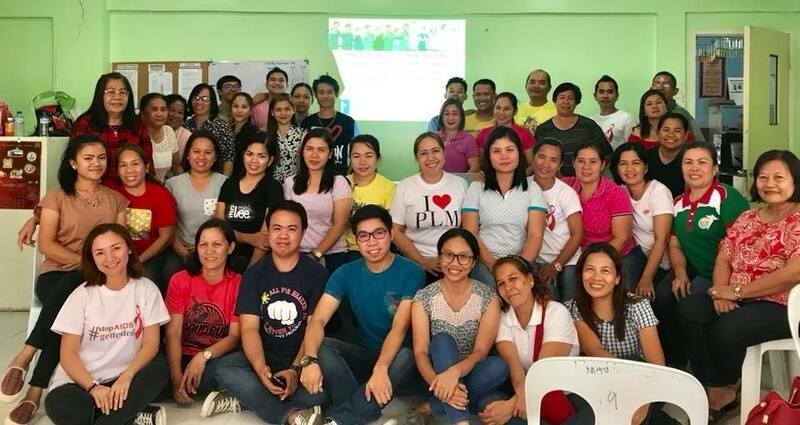 Partners in Leprosy Action (PILA), initiated by the PLM in 2005, brings together various stakeholders such as Local Government Units, the Department of Health, the Department of Education, dermatologists and community members to develop sustainable community skin health programs. These programs aim to enhance awareness and prevention of variable Neglected Tropical Diseases (NTD), as well as to guide early detection and treatment. Skin- related NTDs that are prevalent in the Philippines include leprosy, yaws, lymphatic filariasis, mycetoma, cutaneous leishmaniasis, and scabies (See related article on Skin NTDs). The pilot project of PLM aims to determine the effectiveness, outcome and impact of PILA community skin health strategy as a combined approach to skin-related Neglected Tropical Diseases (NTD) in a Geographically Isolated and Disadvantaged Area (GIDA) in the Philippines such as the Liguasan Marsh Area of Tulunan, North Cotabato where leprosy and yaws are endemic. Innovative and integrated approaches to NTD control and eradication are needed. 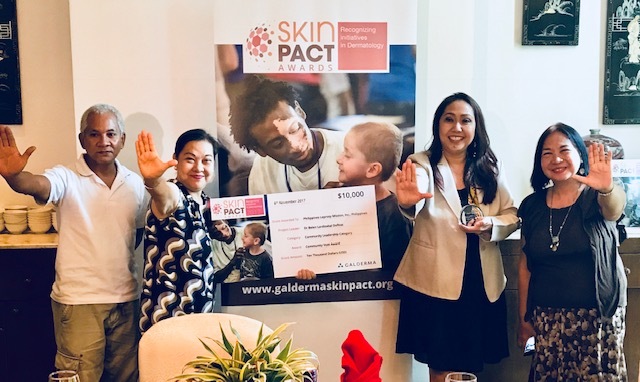 The SKINPACT Awards aim “to inspire dermatologists and other doctors with an interest in dermatology to develop and help implement voluntary projects that support a sustainable dermatology community.” The grant of $10,000.00 will be used to execute these projects. Dr. Belen Dofitas, a Fellow of the Philippine Dermatological Society and President of the Board of Trustees of the Philippine Leprosy Mission, expresses her gratitude to the Philippine Medical Association and the Philippine Dermatological Society for their interest in PILA and for their full support in this endeavor. The awarding ceremony and announcements were held on November 7, 2017 at the Crowne Plaza Galleria and on November 8, 2017 at EDSA Shangri-la Hotel during the Annual Convention of the Philippine Dermatological Society.